Digital curator for independent films, FilmBuff is partnering with Kidrobot to celebrate the digital release of Daniel Zana’s documentary about the designer toy movement, The Vinyl Frontier For a limited time, customers who spend over $150 at KRNY, KRMIA, KRLA or KRSF will receive a postcard with instructions on how to enter a special promotion to win a $10 Amazon Instant Video gift card for free movie rentals. Only the first 50 Kidrobot shoppers who follow the redemption instructions on the postcard will receive the gift card, so you’ve gotta act fast! 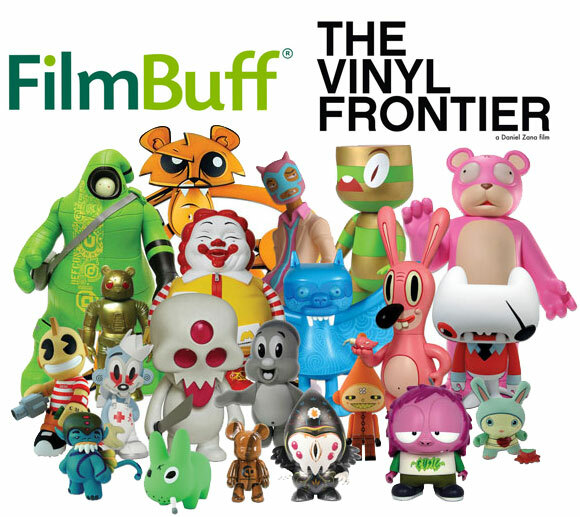 The Vinyl Frontier features many KR faves, Ron English, Frank Kozik, Paul Budnitz, Gary Baseman and more. Check out FilmBuff.com for more info.